Check out some of our amazing clients who DIYed their Mickeys! | Als Ik Kan Designs – Woodworking, Crafts, and More! So we’ve been super excited to help people who are planning their Disney crusie line vacations. Decorating stateroom doors is a fun tradition for all who set sail on DCL ships. We went on our first cruise in 2016 and became huge fans! 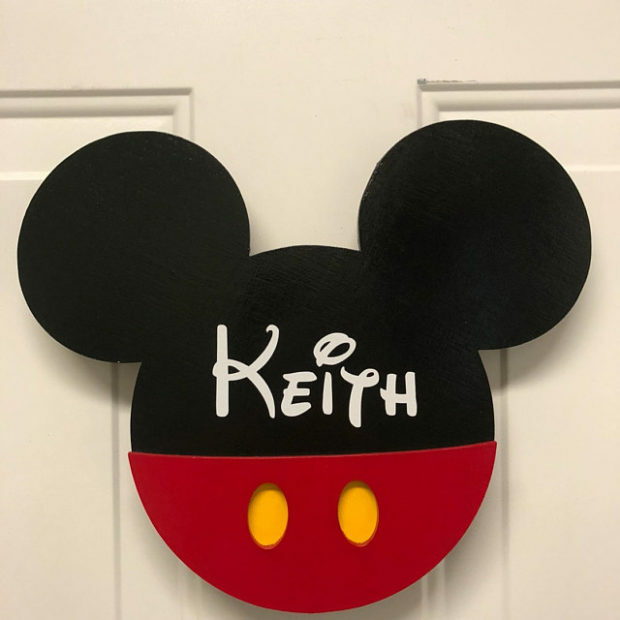 We sell DIY wooden Mickey magnet kits on Etsy and love seeing our clients’ DIY work! 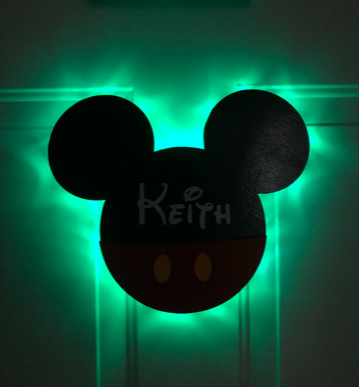 Check out how awesome this DIY Mickey looks with a little green LED backlighting and glow in the dark vinyl! This next set of Mickey’s was a total DIY extravaganza for a big WIN! The only thing we provided was the blank wood, vinyl name decals and the special Darth Vader cut out. They did all the painting and creativity. Color us impressed with their Iron Man and Ariel decor. We also love the detail on Minnie’s bow! 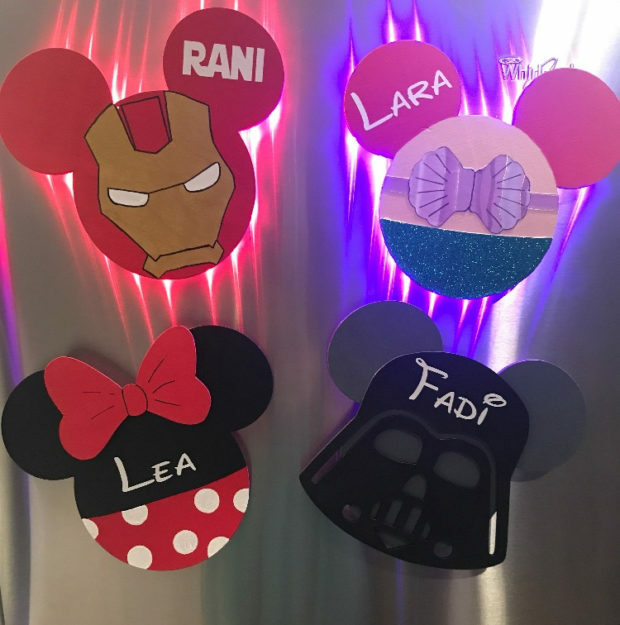 If you need a cool DIY Mickey idea, check out my blog post here and then send us a picture of what you came up with. 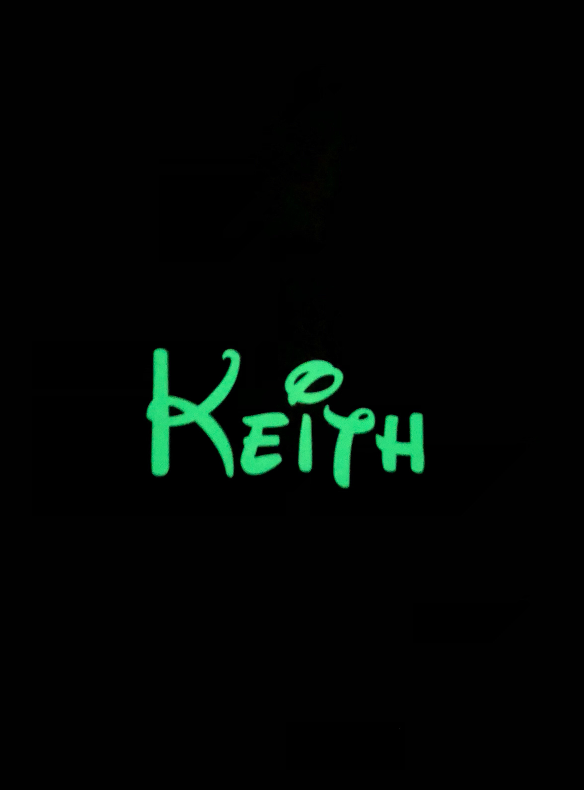 We love seeing your ideas and creativity!